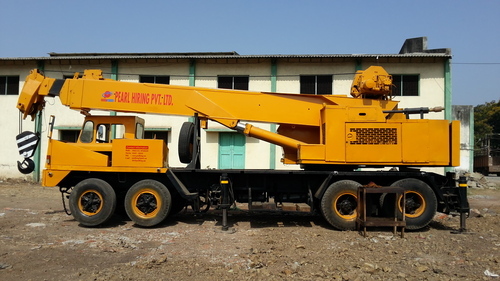 For solving the purpose of diverse material handling jobs, we are providing to the clients the Cranes Hiring Services. The cranes we provide have the capacity up to150 tones to 450 tones. Our rented cranes are categorized under the brand names tadano, denag, kato, grove, unic, p & h and til. Clients from different industries can hire our cranes to meet their cement, thermal, nuclear and construction plants applications. Further, the purpose of offering Cranes Hiring Services is to perfectly render customerÃ¢â¬â¢s diverse jobs efficiently and timely.